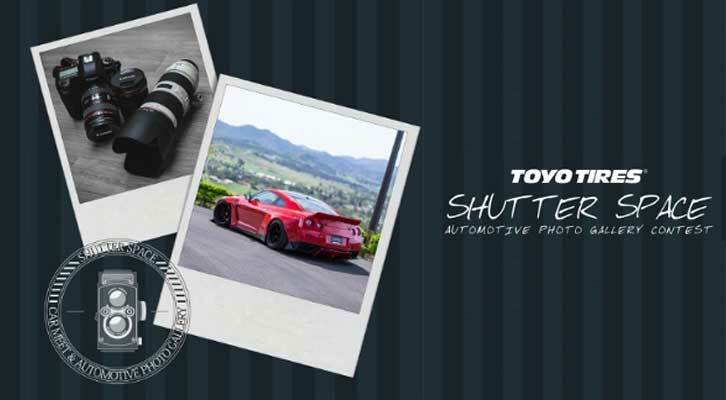 The US subsidiary of Toyo Tires, Toyo Tire U.S.A. Corp. has announced the details of the 2017 edition of the Shutter Space Automotive Photo Gallery Contest which will accept automotive-themed photos as entries. Everyone including amateur photographers, artists and automotive fans is eligible to submit automotive-themed photo entries for the company’s 2017 Shutter Space Automotive Photo Gallery contest. They can choose to submit what they believe is their best photo based on an automotive theme while viewing them in an art gallery and car show setting. The deadline for submitting the entries is Friday, June 30, 2017 11:59:59 p.m. PST. Those who wish to submit their photos can use the link, http://bit.ly/toyossapg to participate in the contest. The photos that are submitted will be judged based on three criteria including the artistic composition and technical aspects of the photo, the originality of the photo and the manner in which the photo relates to the Toyo Tires’ lifestyle and brand. The winner of the contest will be able to have their photo featured in Super Street magazine’s December issue (print and digital). The photo will also be displayed during the Toyo Tires Shutter Space Collaborative Car Meet & Automotive Photo Gallery on July 28, 2017 in Southern California. The winner will receive additional gifts like Toyo Tires x Super Street merchandise, including a camera strap, t-shirt and hat. Nineteen (19) Finalists who are selected in the contests will also get have their photo displayed during the Toyo Tires Shutter Space Collaborative Car Meet & Automotive Photo Gallery and receive exclusive Toyo Tires x Super Street merchandise, including a t-shirt and hat.